I've got a card to share with you today! "The Big One" CD-ROM Volumes 1 & 2.
re-release it, along with a second volume featuring everything they have done in 2012-2014. Thanks Sharon, you put it beautifully! Now, here's sneak peek of one of my samples! then raised on foam tape to act as the stop for the easel section. Absolutely gorgeous Dawn. Loving the cheerful yellow. This is gorgeous! I love the beautiful cheerful colour and image. 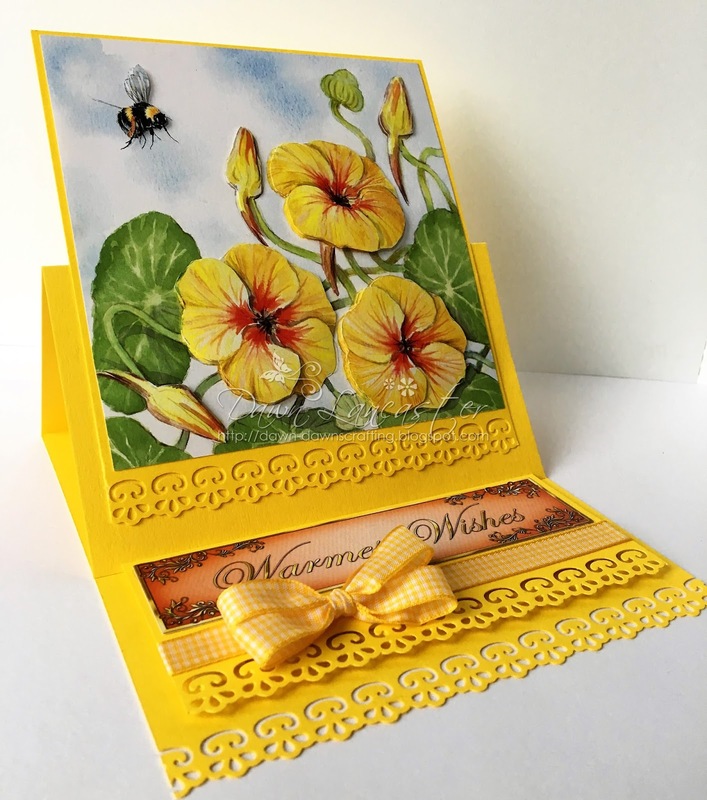 Gorgeous card and beautiful design!! Thank you for joining us at Double D for our 'YELLOW' challenge! Oh so pretty!! Thanks so much for playing along at Double D Challenge!! WOW absolutely beautiful Dawn ... love those 3d pansies! Great job! Thanks so much for joining in the fun at our Double D ‘YELLOW’ Challenge! We hope you’ll come back often. What a stunning sample you made for them! 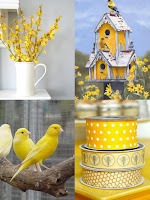 WOW, I just love the bright yellow, one of my favorite colors. Amazing work. A gorgeous card Dawn, such a beautiful image and great design. Magnificent, Dawn! 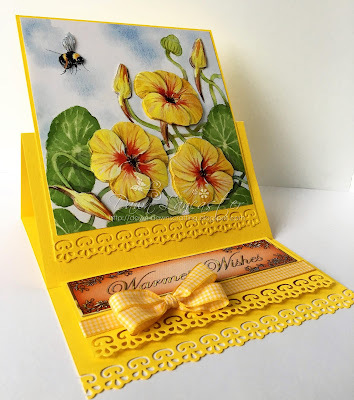 Loving the bright yellow and that fantastic border punch. So beautiful and perfect for the inspiration photos. Thanks for sharing with us at TTCRD. Amazing! The dimension is fabulous - you can almost pick the flowers. Thanks for sharing at Clear it Out.